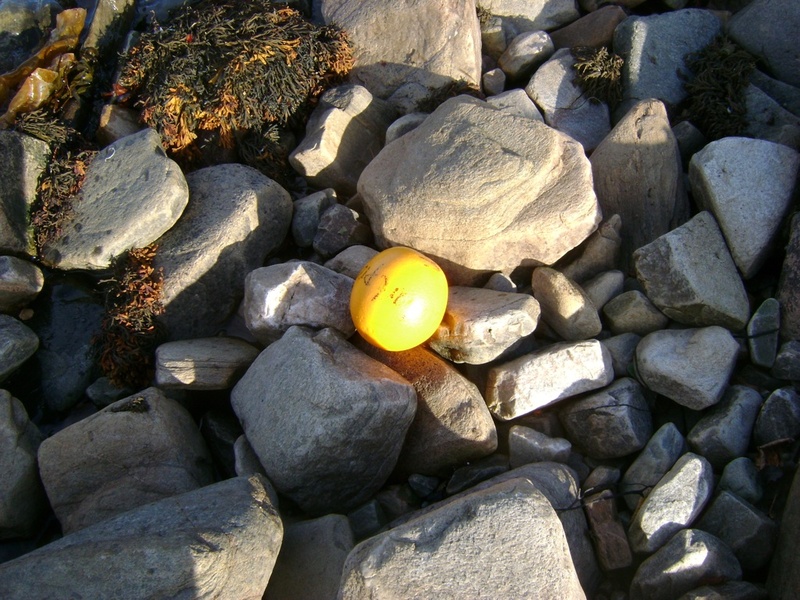 The co-ordinates that John e mailed me have located the first orange to have been found along Morefield beach below. 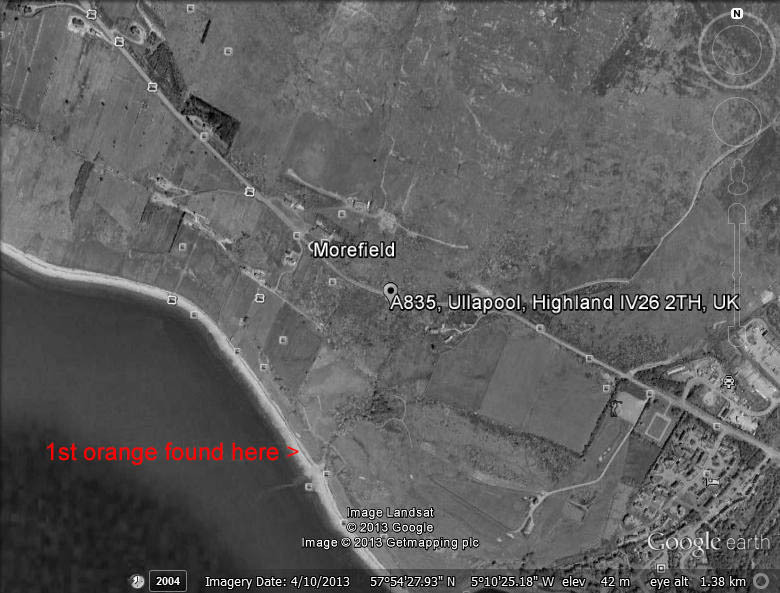 I’m hoping for more sightings. Please keep looking ! Remember don’t eat the evidence , compost it!